Kellam SG, Brown CH, Poduska JM, et al. Effects of a universal classroom behavior management program in first and second grades on young adult behavioral, psychiatric, and social outcomes. Drug Alcohol Depend. 2008;95 Suppl 1:S5-S28. doi:10.1016/j.drugalcdep.2008.01.004. Kitzman HJ, Olds DL, Cole RE, et al. Enduring effects of prenatal and infancy home visiting by nurses on children: follow-up of a randomized trial among children at age 12 years. Arch Pediatr Adolesc Med. 2010;164(5):412-418. doi:10.1001/archpediatrics.2010.76. August GJ, Lee SS, Bloomquist ML, Realmuto GM, Hektner JM. Dissemination of an evidence-based prevention innovation for aggressive children living in culturally diverse, urban neighborhoods: the Early Risers effectiveness study. Prev Sci Off J Soc Prev Res. 2003;4(4):271-286. Catalano RF, Mazza JJ, Harachi TW, Abbott RD, Haggerty KP, Fleming CB. Raising healthy children through enhancing social development in elementary school: Results after 1.5 years. J Sch Psychol. 2003;41(2):143-164. doi:10.1016/S0022-4405(03)00031-1. DeGarmo DS, Eddy JM, Reid JB, Fetrow RA. Evaluating mediators of the impact of the Linking the Interests of Families and Teachers (LIFT) multimodal preventive intervention on substance use initiation and growth across adolescence. Prev Sci Off J Soc Prev Res. 2009;10(3):208-220. doi:10.1007/s11121-009-0126-0. Shaw DS, Dishion TJ, Supplee L, Gardner F, Arnds K. Randomized trial of a family-centered approach to the prevention of early conduct problems: 2-year effects of the family check-up in early childhood. J Consult Clin Psychol. 2006;74(1):1-9. doi:10.1037/0022-006X.74.1.1. Beets MW, Flay BR, Vuchinich S, et al. Use of a social and character development program to prevent substance use, violent behaviors, and sexual activity among elementary-school students in Hawaii. Am J Public Health. 2009;99(8):1438-1445. doi:10.2105/AJPH.2008.142919. Hawkins JD, Kosterman R, Catalano RF, Hill KG, Abbott RD. Effects of social development intervention in childhood 15 years later. Arch Pediatr Adolesc Med. 2008;162(12):1133-1141. doi:10.1001/archpedi.162.12.1133. Snyder F, Vuchinich S, Acock A, Washburn I, Beets M, Li K-K. Impact of the Positive Action program on school-level indicators of academic achievement, absenteeism, and disciplinary outcomes: A matched-pair, cluster randomized, controlled trial. J Res Educ Eff. 2010;3(1): 26-55. doi:10.1080/19345740903353436. Hawkins JD, Catalano RF, Kosterman R, Abbott R, Hill KG. Preventing adolescent health-risk behaviors by strengthening protection during childhood. Arch Pediatr Adolesc Med. 1999;153(3):226-234. Kellam SG, Wang W, Mackenzie ACL, et al. The impact of the Good Behavior Game, a universal classroom-based preventive intervention in first and second grades, on high-risk sexual behaviors and drug abuse and dependence disorders into young adulthood. Prev Sci Off J Soc Prev Res. 2014;15 Suppl 1:S6-S18. doi:10.1007/s11121-012-0296-z. Lonczak HS, Abbott RD, Hawkins JD, Kosterman R, Catalano RF. Effects of the Seattle social development project on sexual behavior, pregnancy, birth, and sexually transmitted disease outcomes by age 21 years. Arch Pediatr Adolesc Med. 2002;156(5):438-447. Bruce J, McDermott JM, Fisher PA, Fox NA. Using behavioral and electrophysiological measures to assess the effects of a preventive intervention: a preliminary study with preschool-aged foster children. Prev Sci Off J Soc Prev Res. 2009;10(2):129-140. doi:10.1007/s11121-008-0115-8. Fisher PA, Stoolmiller M, Gunnar MR, Burraston BO. Effects of a therapeutic intervention for foster preschoolers on diurnal cortisol activity. Psychoneuroendocrinology. 2007;32(8-10):892-905. doi:10.1016/j.psyneuen.2007.06.008. Tolan P, Gorman-Smith D, Henry D. Supporting families in a high-risk setting: proximal effects of the SAFEChildren preventive intervention. J Consult Clin Psychol. 2004;72(5):855-869. doi:10.1037/0022-006X.72.5.855. Webster-Stratton C, Jamila Reid M, Stoolmiller M. Preventing conduct problems and improving school readiness: evaluation of the Incredible Years Teacher and Child Training Programs in high-risk schools. J Child Psychol Psychiatry. 2008;49(5):471-488. doi:10.1111/j.1469-7610.2007.01861.x. Dishion TJ, Shaw D, Connell A, Gardner F, Weaver C, Wilson M. The family check-up with high-risk indigent families: preventing problem behavior by increasing parents’ positive behavior support in early childhood. Child Dev. 2008;79(5):1395-1414. doi:10.1111/j.1467-8624.2008.01195.x. Fisher PA, Stoolmiller M, Mannering AM, Takahashi A, Chamberlain P. Foster placement disruptions associated with problem behavior: mitigating a threshold effect. J Consult Clin Psychol. 2011;79(4):481-487. doi:10.1037/a0024313. Conduct Problems Prevention Research Group. Initial impact of the Fast Track prevention trial for conduct problems: II. Classroom effects. J Consult Clin Psychol. 1999;67(5):648-657. Ialongo NS, Werthamer L, Kellam SG, Brown CH, Wang S, Lin Y. Proximal impact of two first-grade preventive interventions on the early risk behaviors for later substance abuse, depression, and antisocial behavior. Am J Community Psychol. 1999;27(5):599-641. Fisher PA, Stoolmiller M. Intervention effects on foster parent stress: associations with child cortisol levels. Dev Psychopathol. 2008;20(3):1003-1021. doi:10.1017/S0954579408000473. Shaw DS, Connell A, Dishion TJ, Wilson MN, Gardner F. Improvements in maternal depression as a mediator of intervention effects on early childhood problem behavior. Dev Psychopathol. 2009;21(2):417-439. doi:10.1017/S0954579409000236. Mullany B, Barlow A, Neault N, et al. The Family Spirit trial for American Indian teen mothers and their children: CBPR rationale, design, methods and baseline characteristics. Prev Sci Off J Soc Prev Res. 2012;13(5):504-518. doi:10.1007/s11121-012-0277-2. Olds DL. Prenatal and infancy home visiting by nurses: from randomized trials to community replication. Prev Sci Off J Soc Prev Res. 2002;3(3):153-172. Fisher, PA, Chamberlain, P. Multidimensional treatment foster care: a program for intensive parent training, family support, and skill building. J Emot Behav Disord. 2000;8:155-164. Battistich V, Solomon D, Watson M, Schaps E. Caring school communities. Educ Psychol. 1997;32(3):137-151. doi:10.1207/s15326985ep3203_1. Kellam S, Rebok G. Building developmental and etiological theory through epidemiologically based preventive intervention trials. In: McCord J, Tremblay R, eds. Preventing Antisocial Behavior: Interventions from Birth through Adolescence. New York, NY: Guilford Press; 1992:162-195. Pears K, Fisher P, Heywood C, Bronz K. Promoting school readiness in foster children. In: Saracho O, Spodek B, eds. Contemporary Perspectives on Social Learning in Early Childhood Education. Charlotte, NC: Information Age Publishing; 2007. Conduct Problems Prevention Research Group. Merging universal and indicated prevention programs: the Fast Track model. Conduct Problems Prevention Research Group. Addict Behav. 2000;25(6):913-927. Flay BR, Allred CG, Ordway N. Effects of the Positive Action program on achievement and discipline: two matched-control comparisons. Prev Sci Off J Soc Prev Res. 2001;2(2):71-89. Barrera M, Biglan A, Taylor TK, et al. Early elementary school intervention to reduce conduct problems: a randomized trial with Hispanic and non-Hispanic children. Prev Sci Off J Soc Prev Res. 2002;3(2):83-94. NIDA. "Principles of Substance Abuse Prevention for Early Childhood A Research-Based Guide (In Brief)." National Institute on Drug Abuse, 1 Sep. 2016, https://www.drugabuse.gov/principles-substance-abuse-prevention-early-childhood-research-based-guide-in-brief. NIDA. Principles of Substance Abuse Prevention for Early Childhood A Research-Based Guide (In Brief). National Institute on Drug Abuse website. 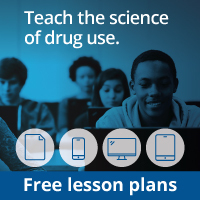 https://www.drugabuse.gov/principles-substance-abuse-prevention-early-childhood-research-based-guide-in-brief. September 1, 2016.